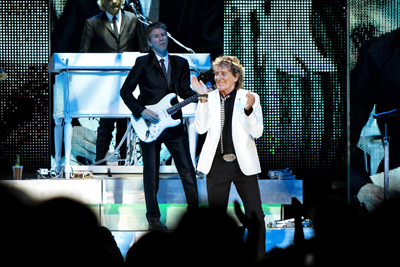 Tonight Rod Stewart and his band play the first of two nights at the LG Arena in Birmingham. The tour is to celebrate the release of chart topping album ‘Time' and of course his impressive back catalogue of work. Gig Junkies' very own Bianca got to shoot the singing legend's show. We hope that you like what she saw.